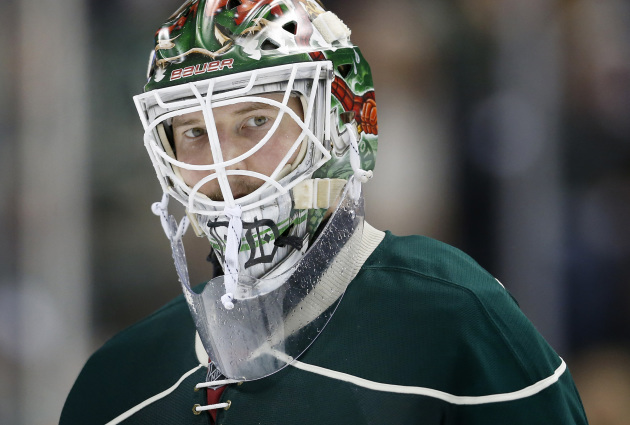 The Wild will roll out yet another new look when it hosts the Stars Thursday at Xcel Energy Center, with goalie Devan Dubnyk, captain Mikko Koivu and winger Zach Parise among those set to make their preseason debuts. 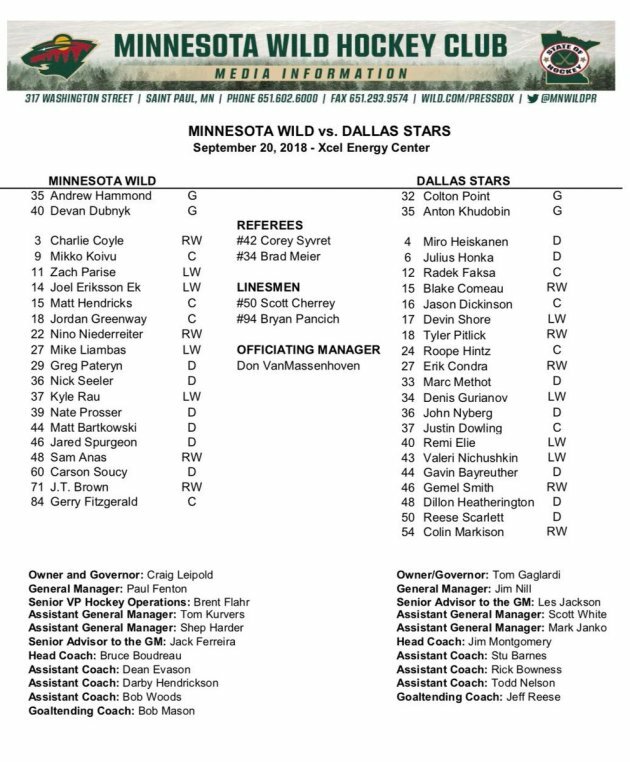 Defenseman Jared Spurgeon is also slotted to play his first game. Here are both teams’ lineups, with one change. Center Justin Kloos will sub in for rookie Jordan Greenway; coach Bruce Boudreau said Greenway is sore, so the team wanted to be cautious and sit him out. Kloos played Wednesday in Des Moines where the Wild fell 3-2 to the Blues, scoring a goal after posting a game-high nine shots in a 2-1 loss to the Jets Monday. What Boudreau has noticed so far during preseason action is how the pace of play has increased with each game, a trend he expects to continue.